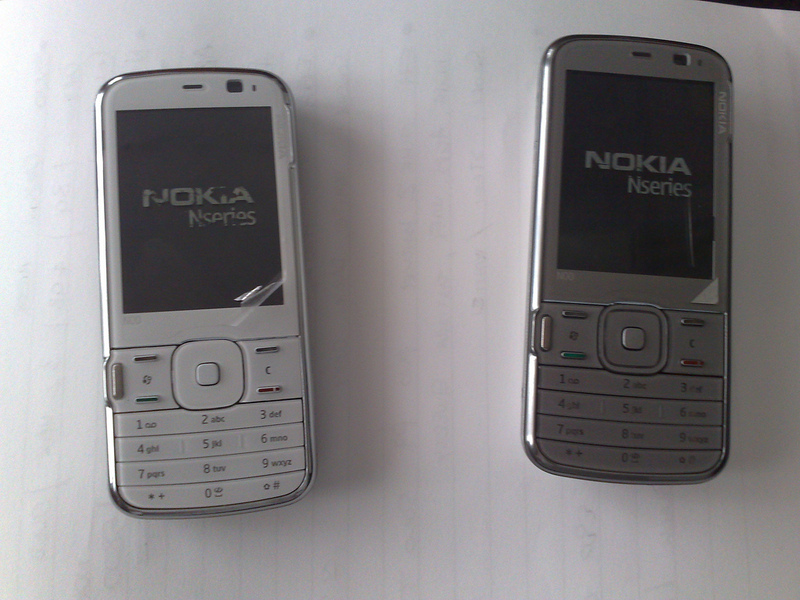 Earlier today we reported about first spy pictures of the Nokia N85. Now other spy-pics of a so called N79 appeared. The N79 seems to be a N78 successor and it features a 16 million colors 2.4 inch display with QVGA resolution. It also has 5 megapixel camera and runs on S60 3rd Edition Feature Pack 2. ~ by Christian on June 10, 2008. Why the two dpads look different in the 2-colors?White one looks almost flat,when the Grey one is having lifted edges. It looks much more like the N82 except the Keypad.